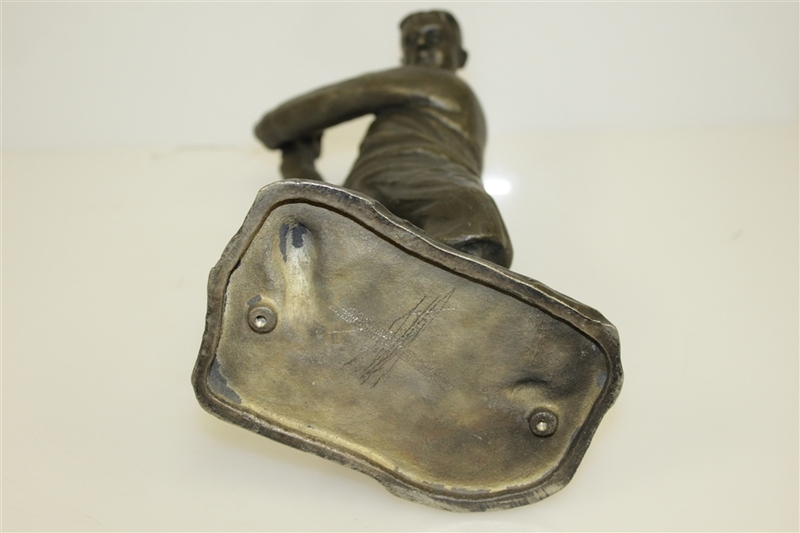 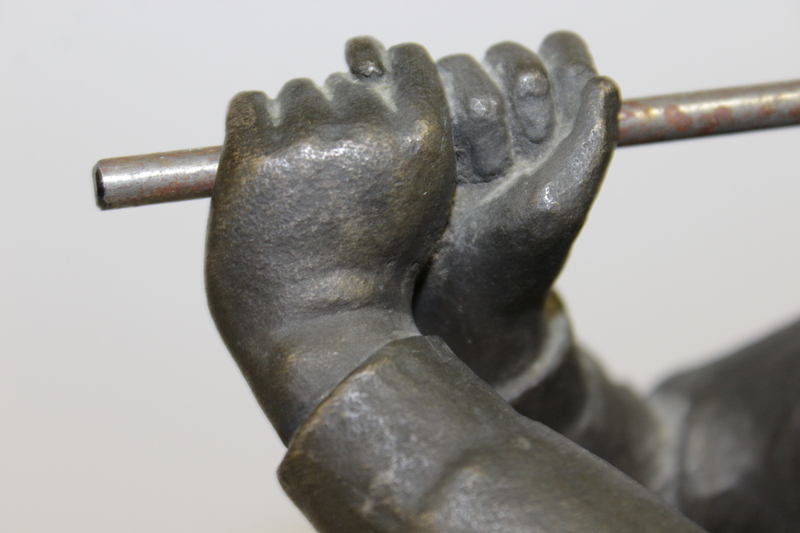 Lot Detail - Vintage Bobby Jones Bronze Statue with Asian Hallmark - 7.5lbs & 12 1/2" Tall! 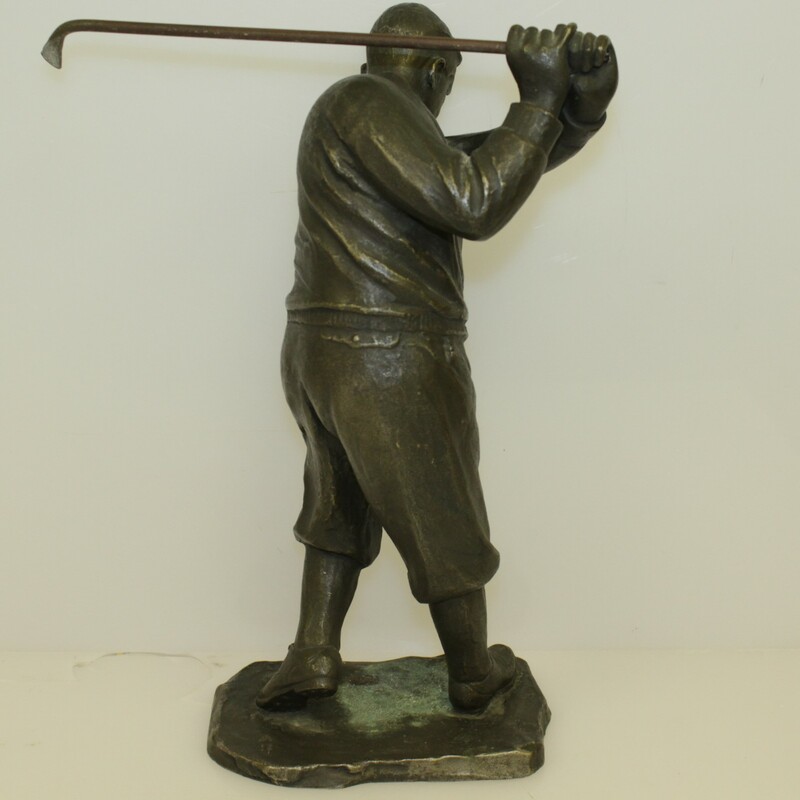 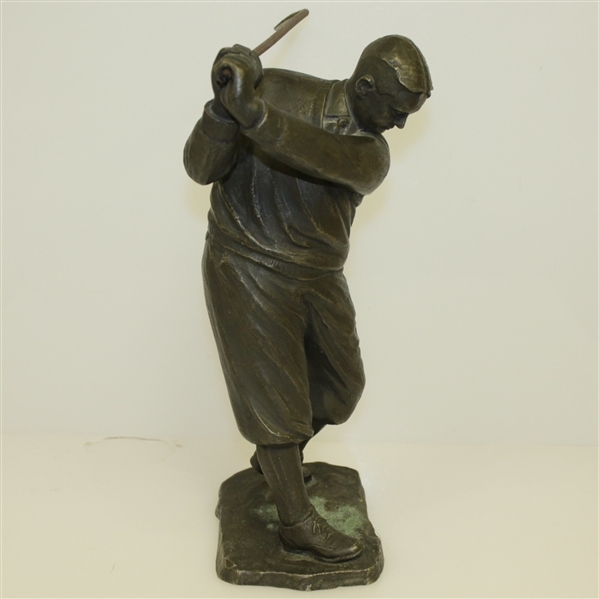 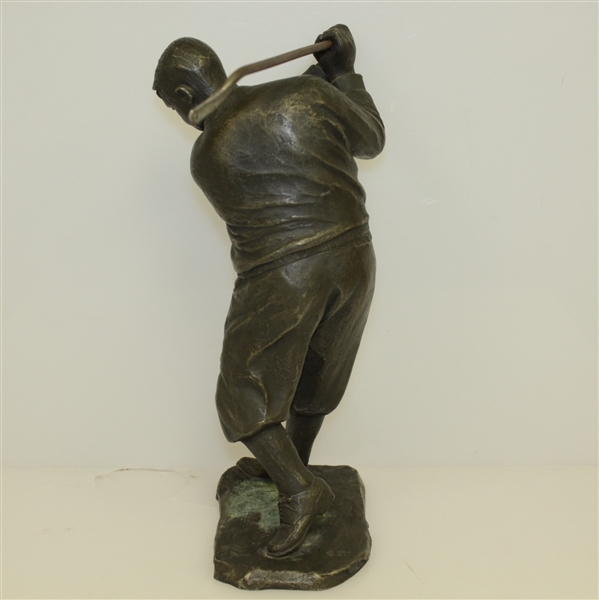 Vintage Bobby Jones Bronze Statue with Asian Hallmark - 7.5lbs & 12 1/2" Tall! 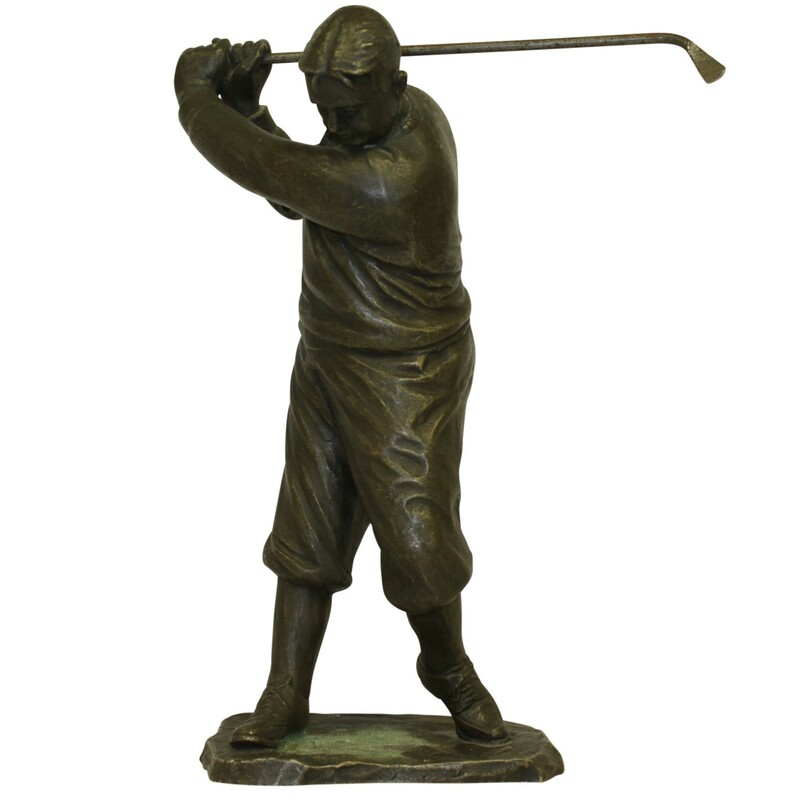 Bobby Jones accomplished what many felt impossible, winning all four majors in the same year, 1930, (the US and British Opens and their respective Amateur Championship events) only to retire immediately afterwards. Jones did however participate in the Masters Tournament from its’ inception 1934 until 1948. 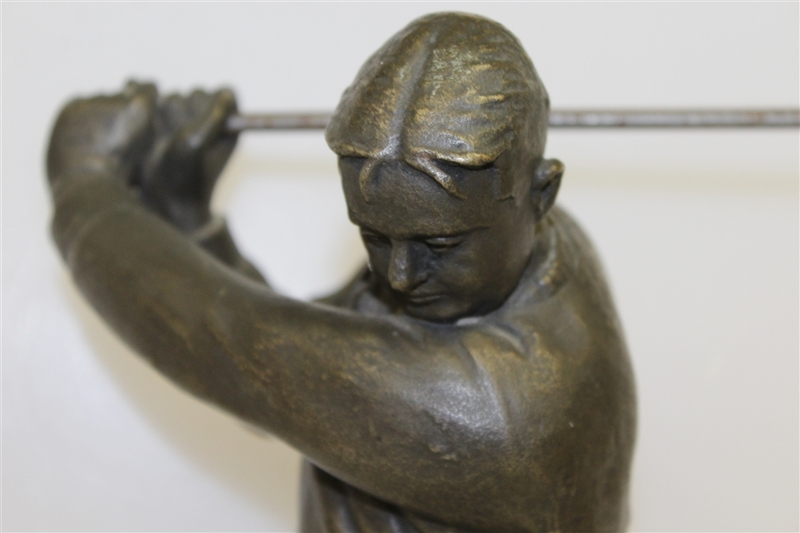 This lot shows Jones in his back swing with perfectly parted hair. 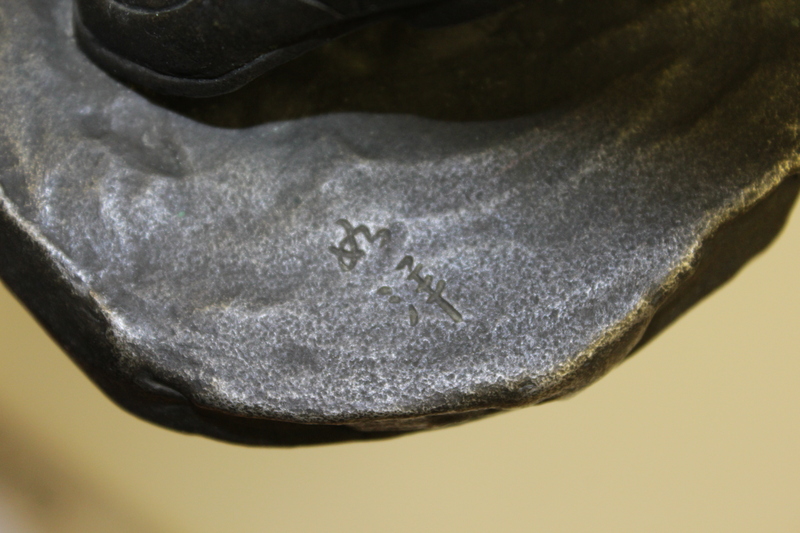 On the base of the statue there is an Asian hallmark. 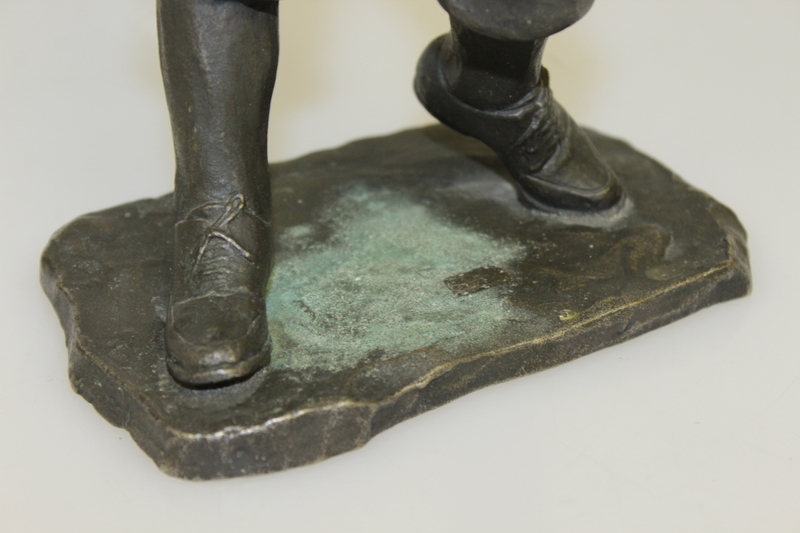 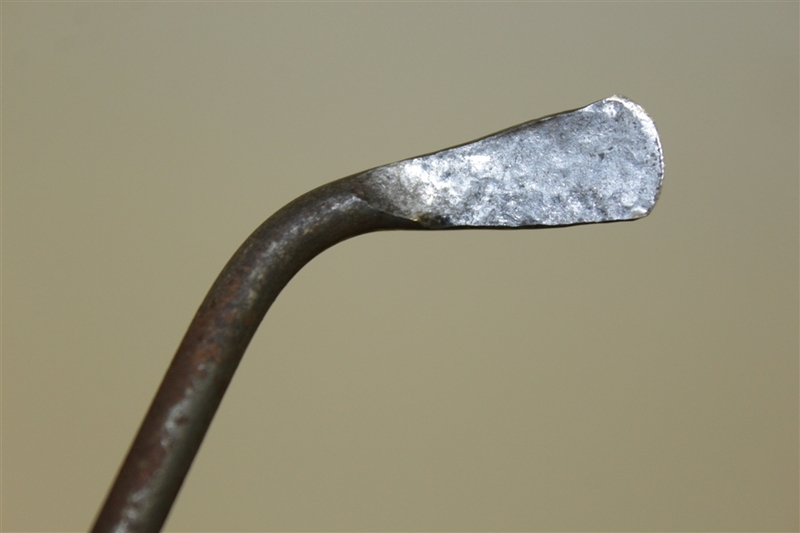 The statue stands 12 1/2" tall, weighing 7.5 lbs.